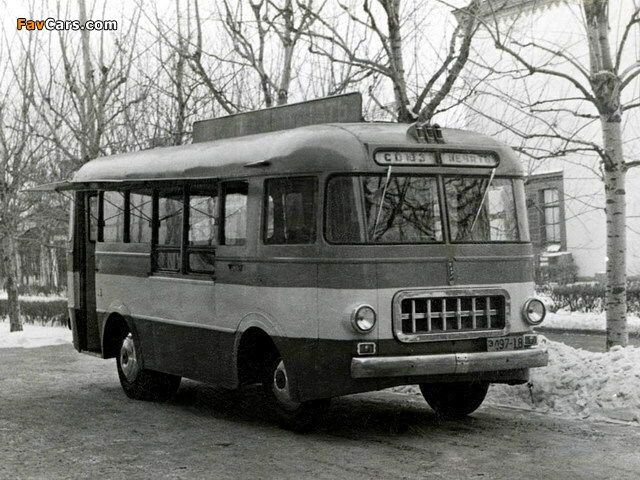 The Riga Autobus Factory (Latvian: Rīgas Autobusu Fabrika, Russian: Рижская Автобусная Фабрика) (abbreviated RAF) was a factory in Jelgava, Latvia, making vans and minibuses under the brand name Latvija. 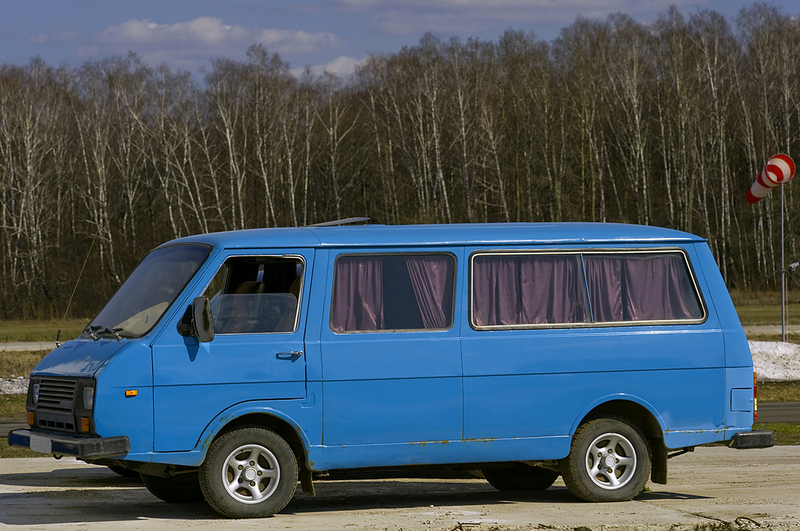 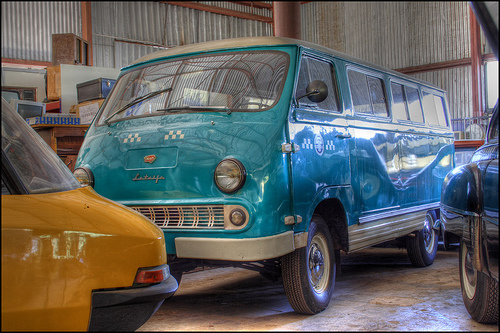 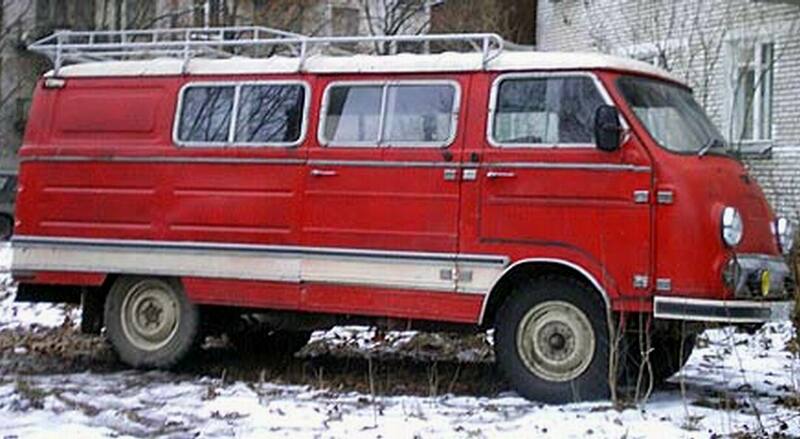 During the Soviet period, RAF and UAZ were the only producers of vans and minibuses in Soviet Union. 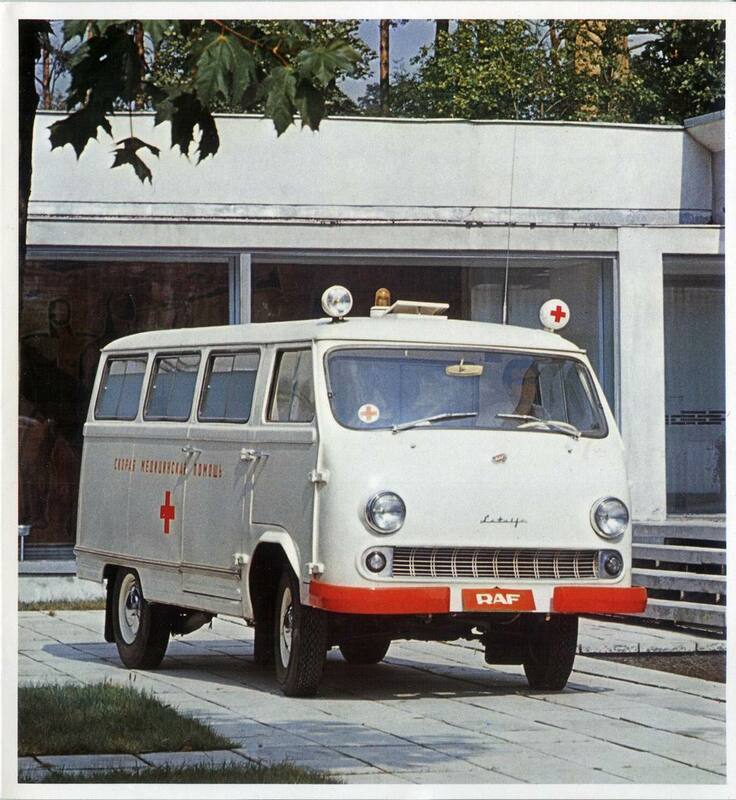 RAF vans and minibuses were used only by state enterprises, most often as ambulances and for public transit. 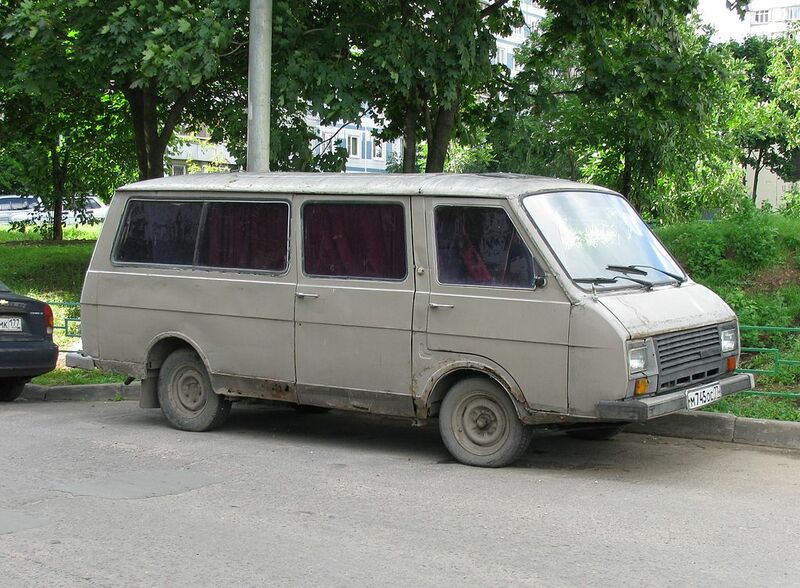 Private persons were not allowed to own them, the only exception being for families with at least five children. 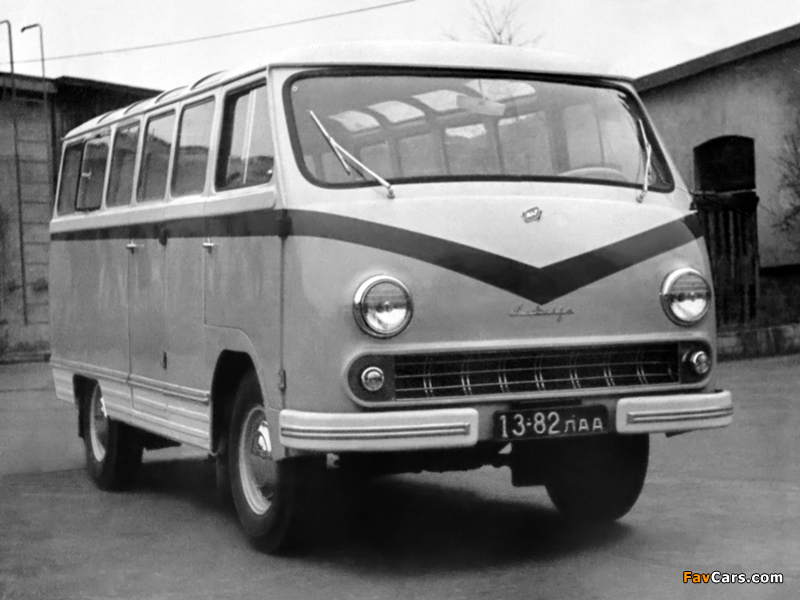 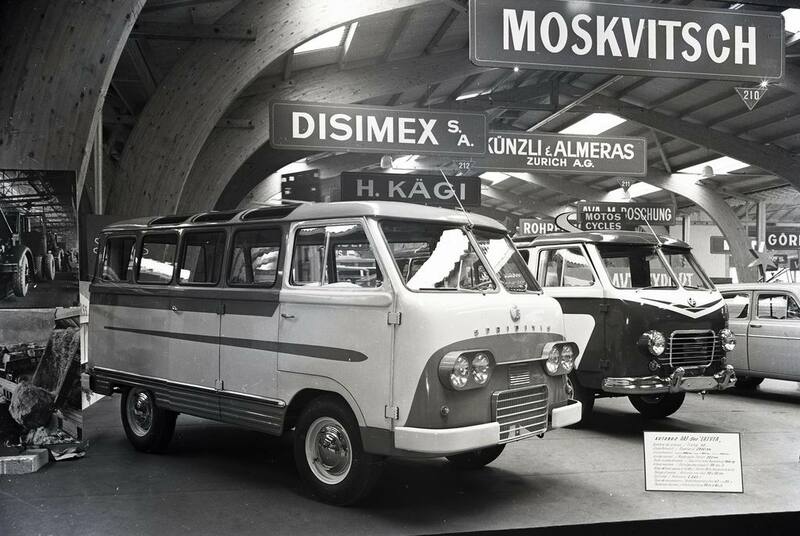 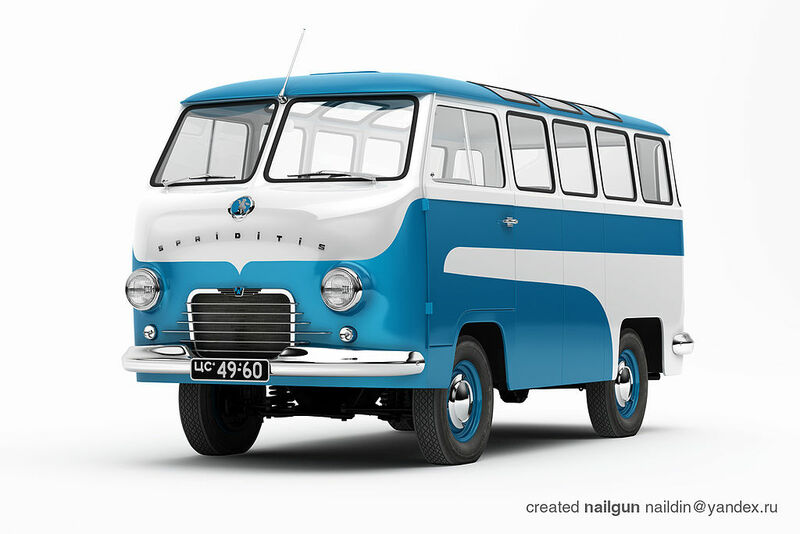 In 1949 the factory began producing van bodies on the site of the Riga auto repair factory №2 (commonly known as RARZ). 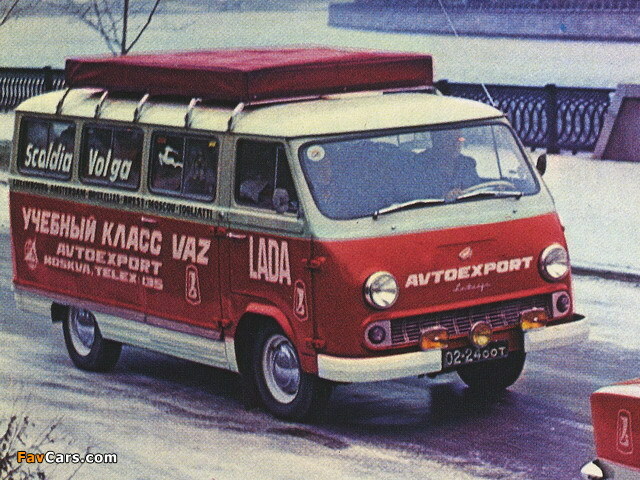 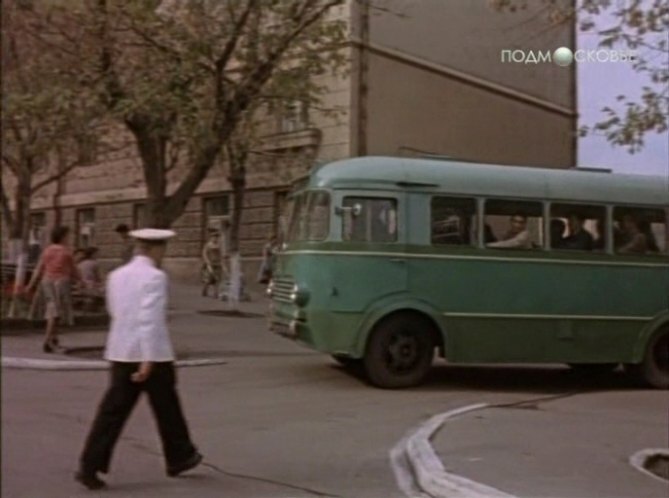 In 1955, it was renamed the Riga Experimental Bus Factory (Latvian: Rīgas eksperimentālā autobusu fabrika, Russian: Рижский Опытный Автобусный Завод), and the products started to be abbreviated to RAF. 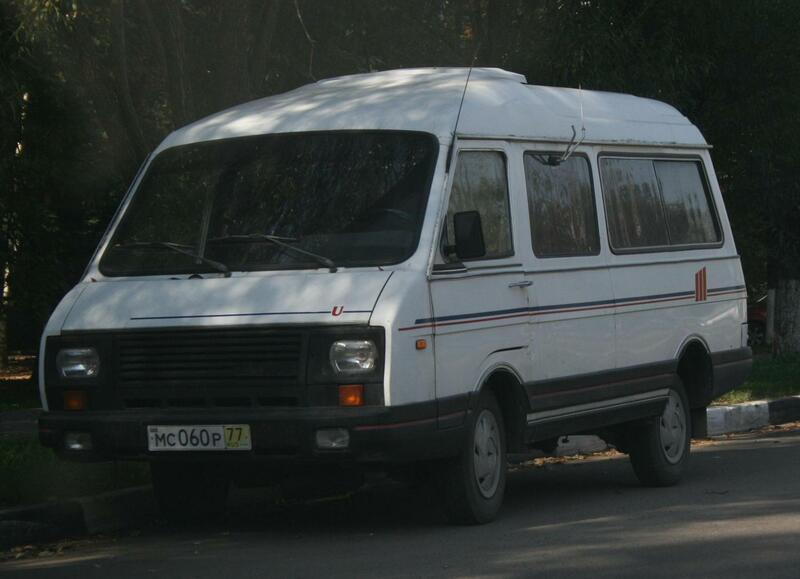 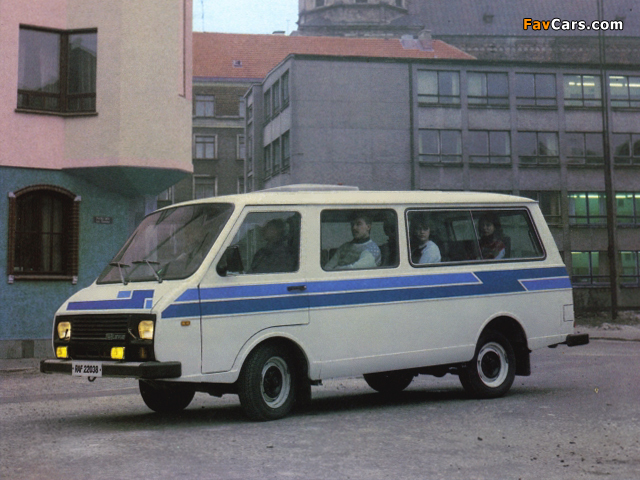 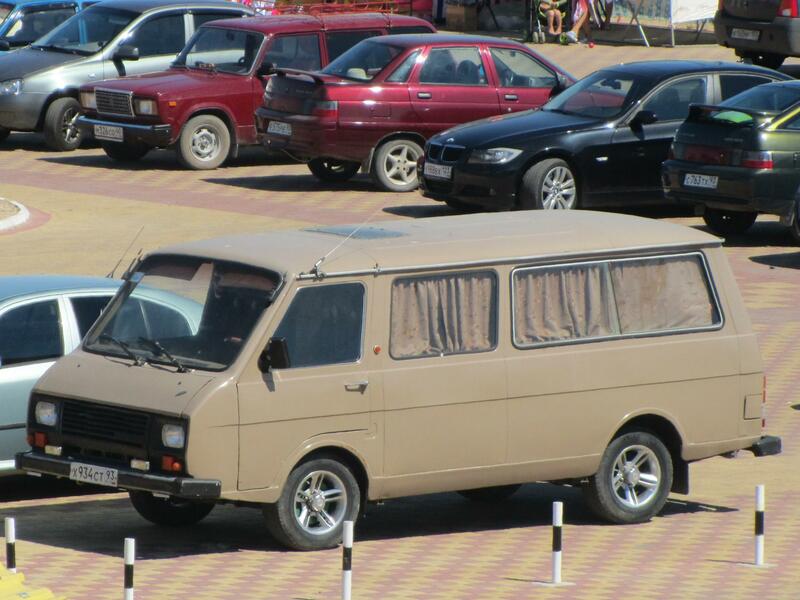 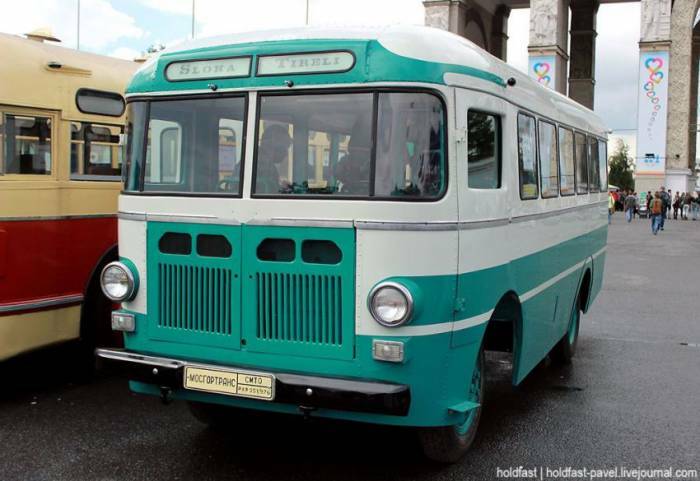 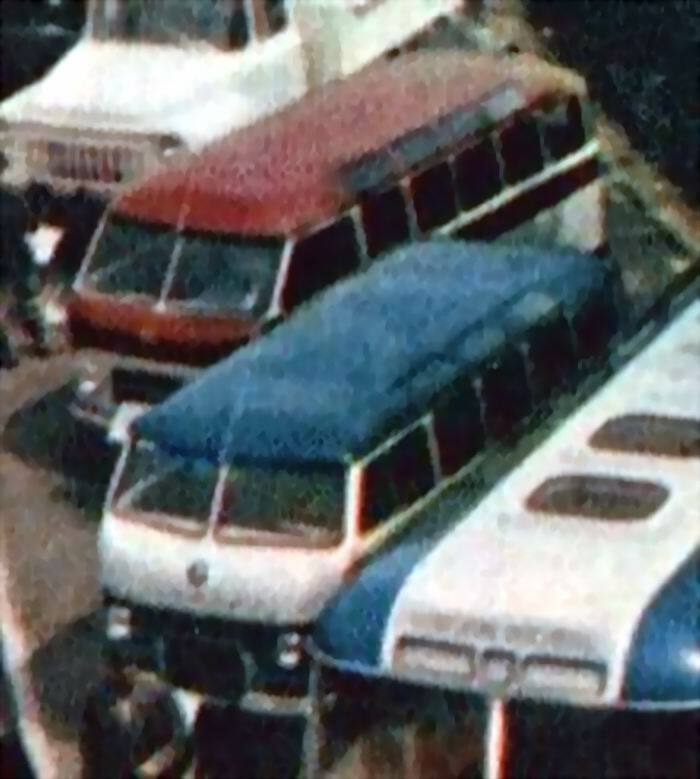 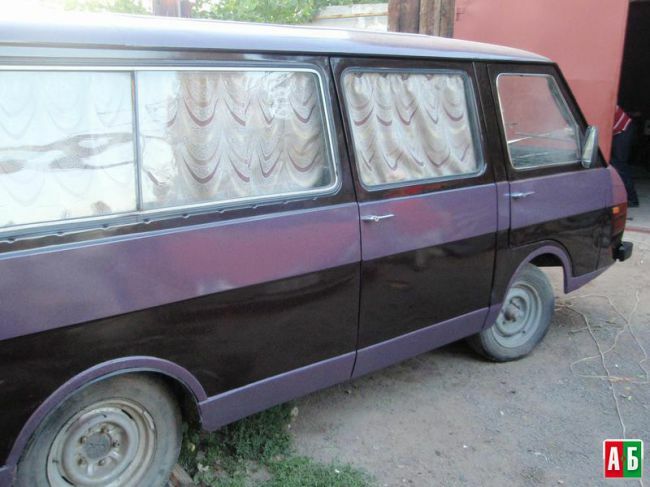 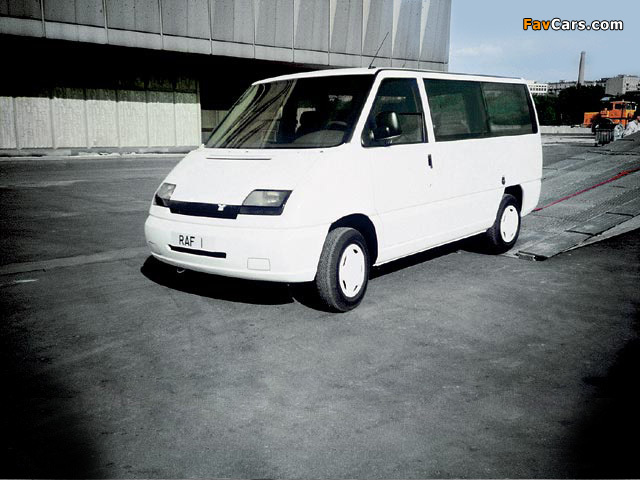 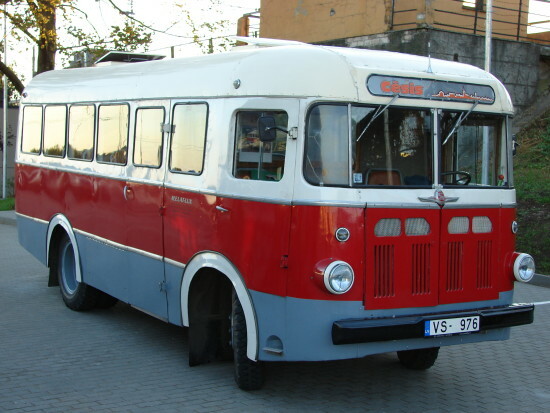 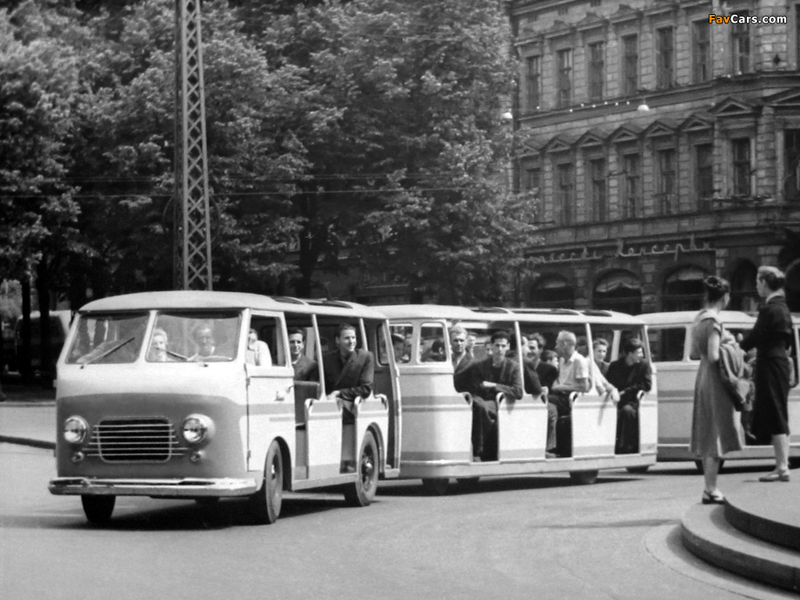 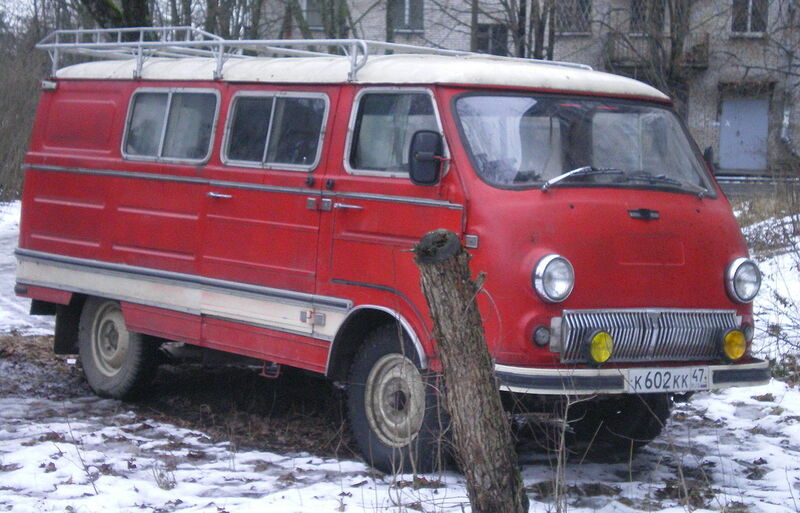 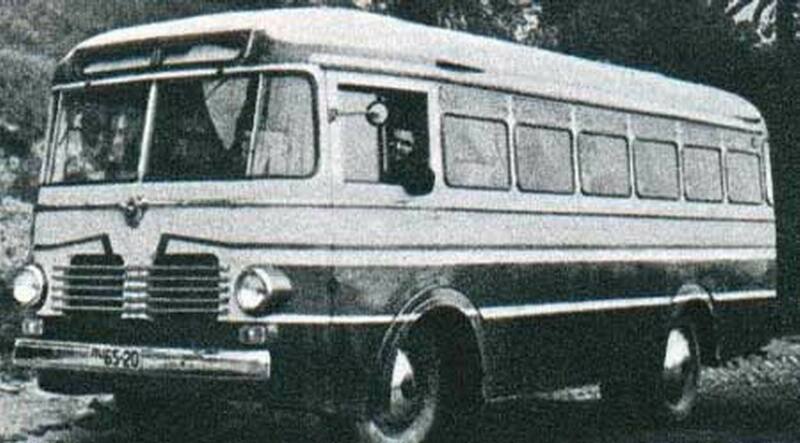 It would become the main Soviet producer of minibuses. 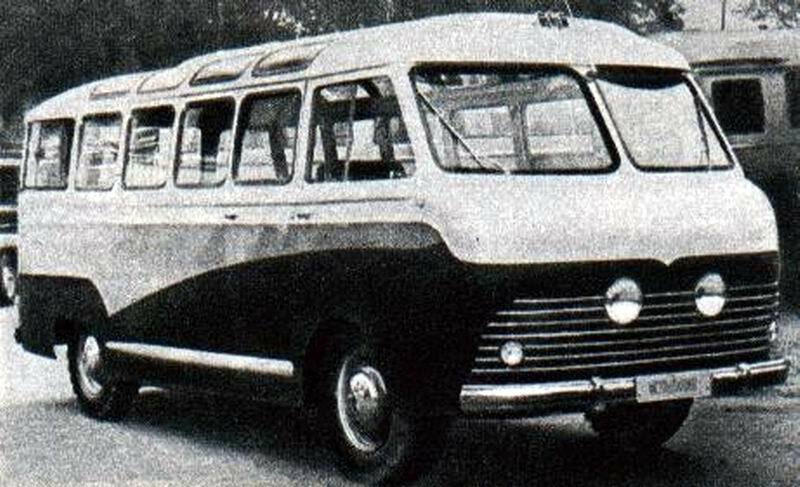 RAF’s first product was the RAF-251, a 22-seat local bus, based on the GAZ-51 chassis (which RAF also built), with a wood and metal body. 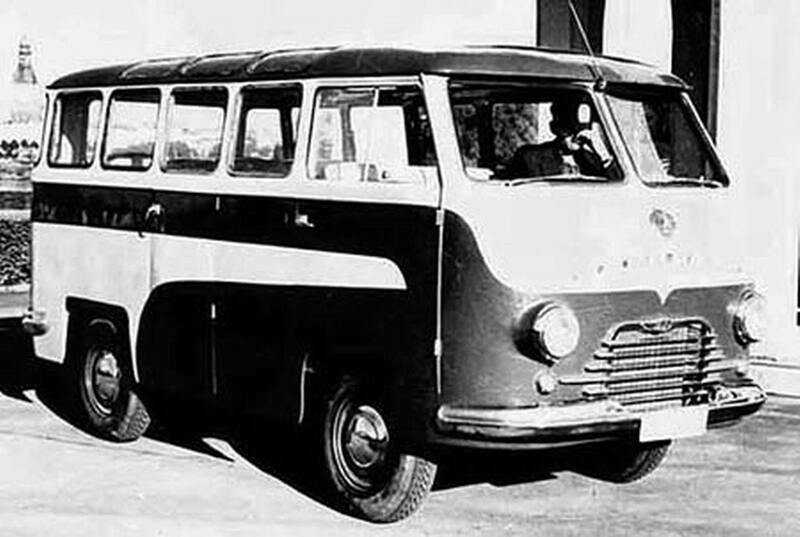 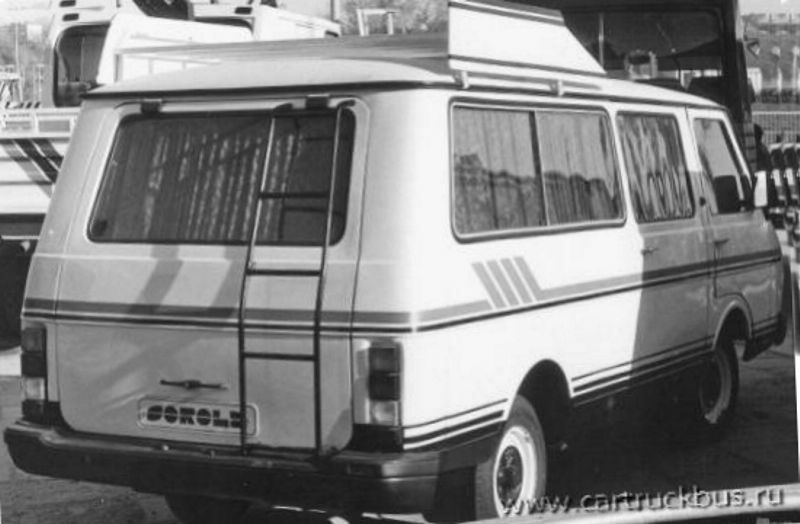 There was also a passenger- and freight version (Kombi), the 251T, with a payload of 14 passengers and 800 kg (1,800 lb) cargo. 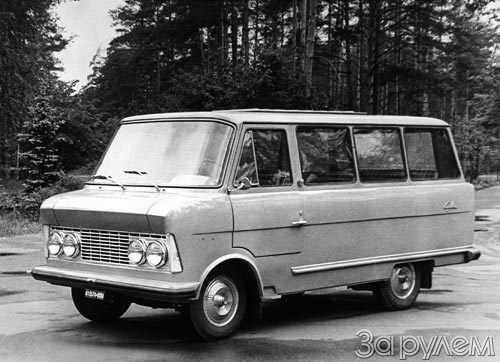 From 1958, the factory started to produce RAF-977 minibuses, based on GAZ-21 Volga engine (between the front seats, rather like the Dodge A100; the engine was accessible through an inside hatch), transmission, axles, and steering. 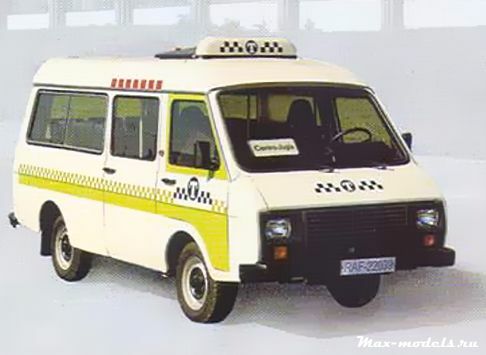 It was planned to produce passenger (“route taxis” for airports, and for sporting teams), freight, mail, and ambulance versions of the vehicle, to replace the modified estates then in use. 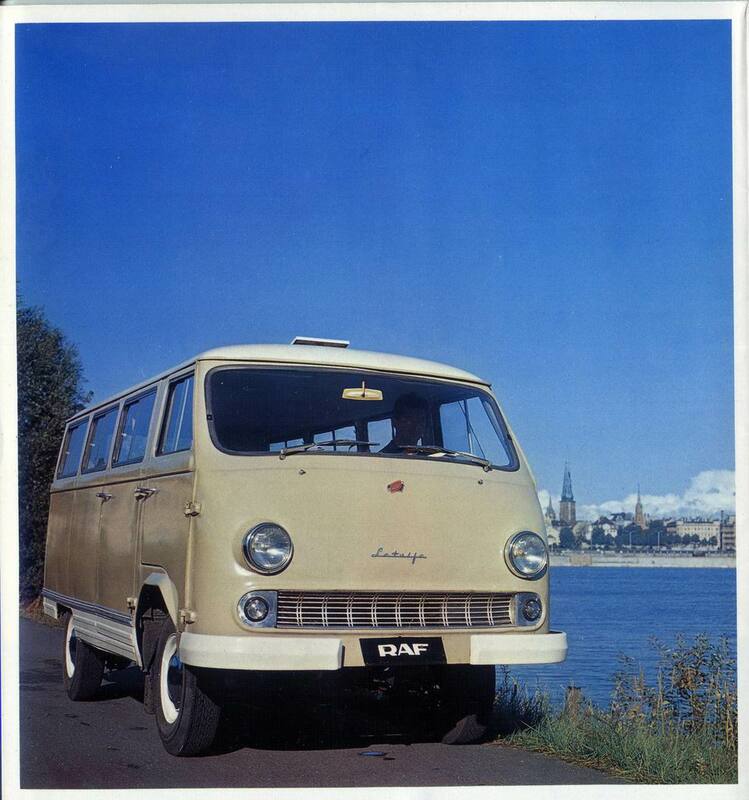 Drawing inspiration from the VW Type 2, it had a front-mounted water-cooled 2,445 cc (149.2 cu in) engine (based on the Volga’s, with a lower compression ratio), and seated ten. 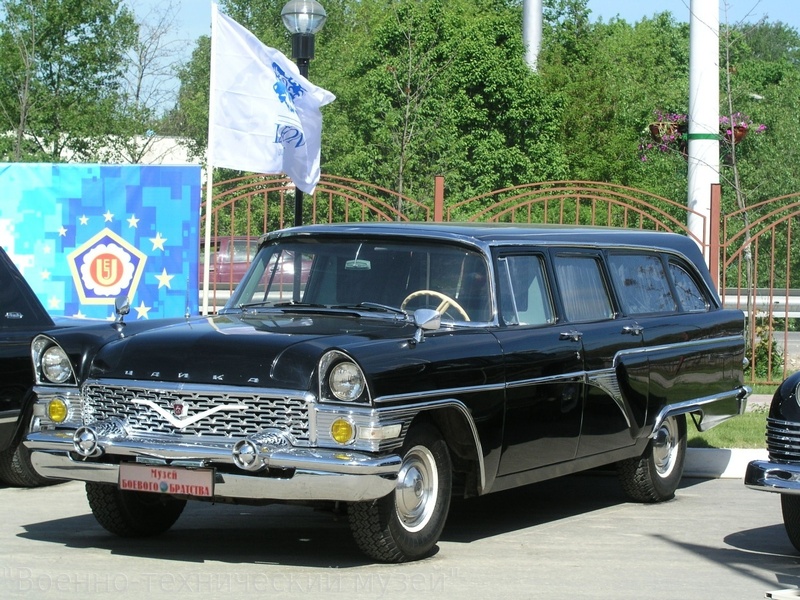 It debuted in 1957, and ten were built for display at that year’s Moscow Youth Festival, leading to a proposed name Festival. 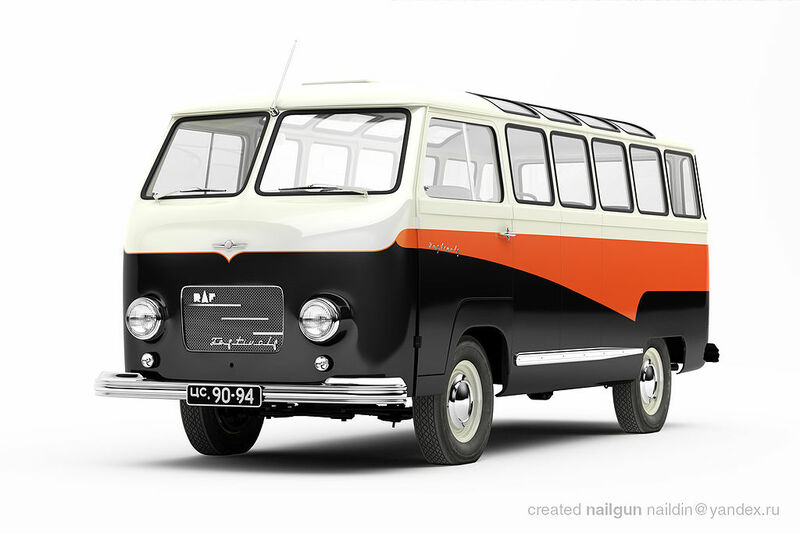 The first batch was produced in 1959, under the new RAF 977 name. 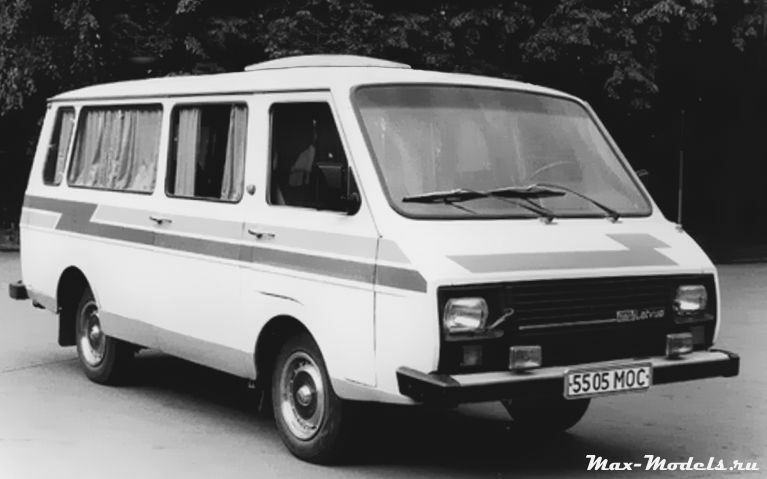 It got 13 L/100 km (18 mpg-US; 22 mpg-imp) and could reach 62 mph (100 km/h). 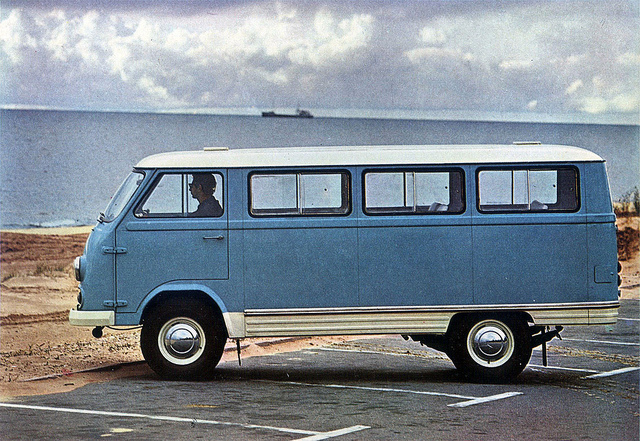 Most were hand-built. 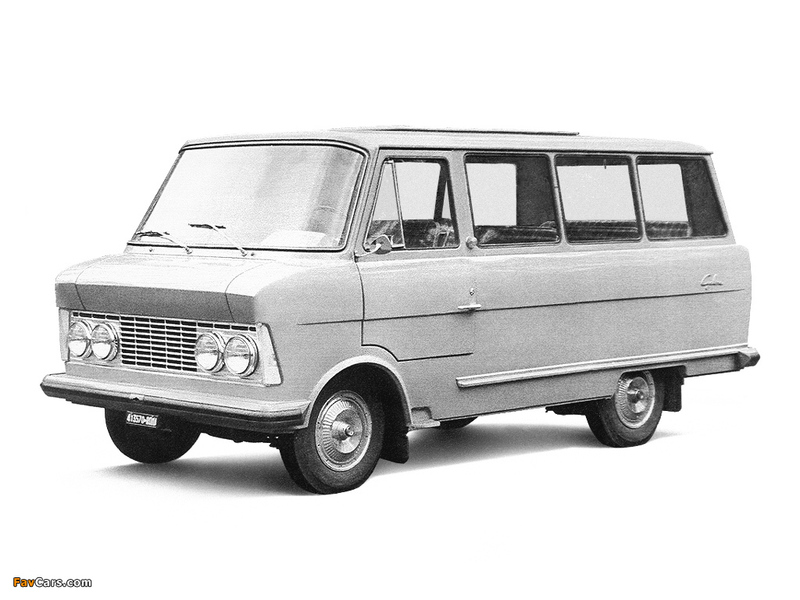 In 1965, RAF proposed two prototypes, with the hope of persuading Minavtoprom to finance a new factory: a conventional version, comparable to the Ford Transit (dubbed the RAF 962-I), or a forward control version, similar to the Renault Estafette (dubbed the 962-II). 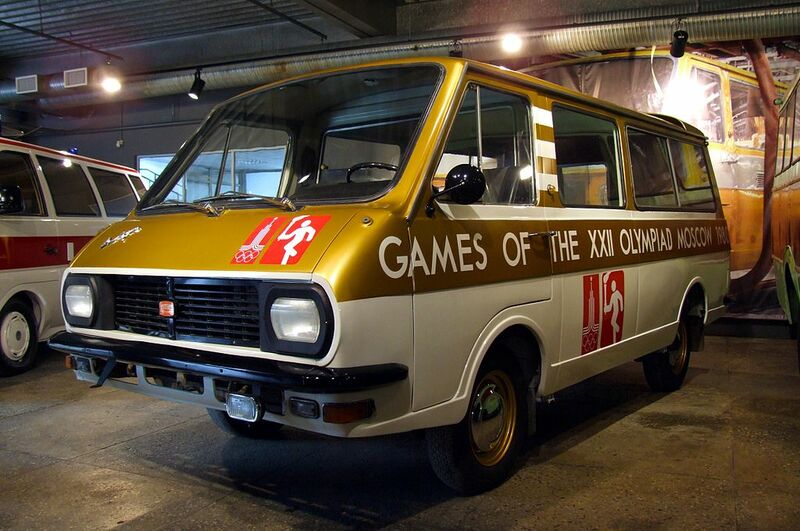 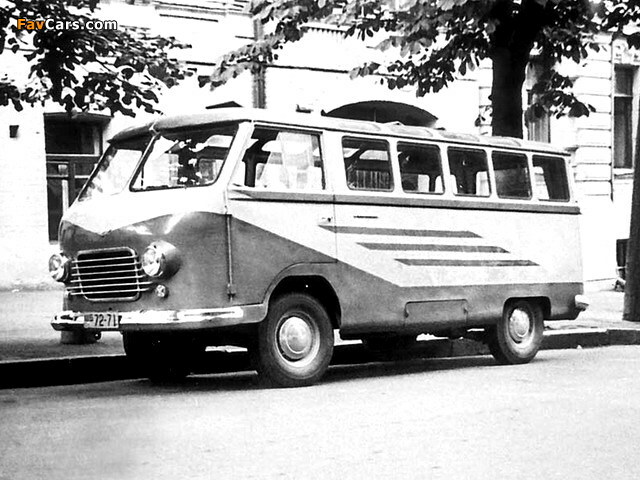 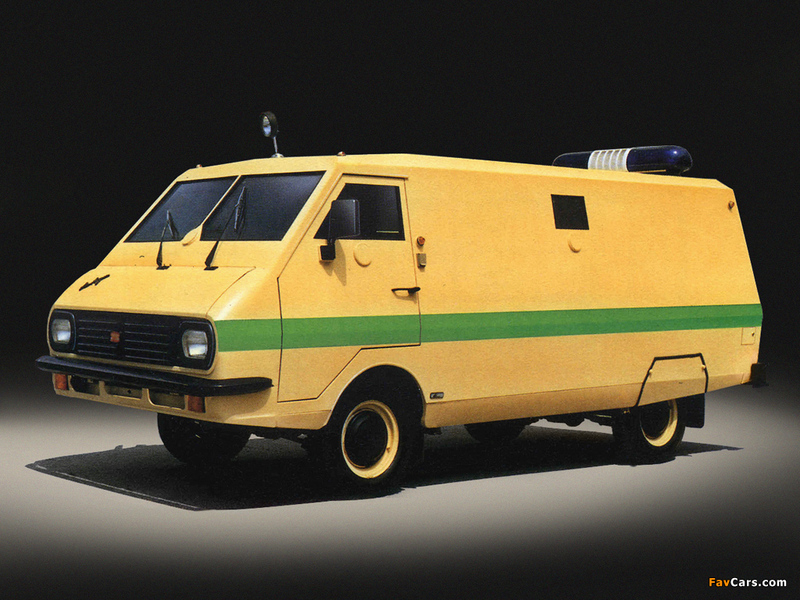 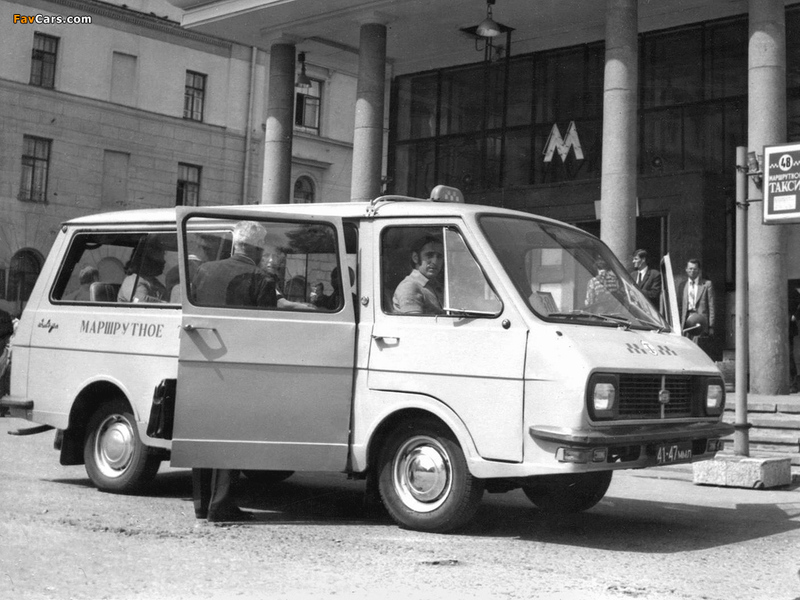 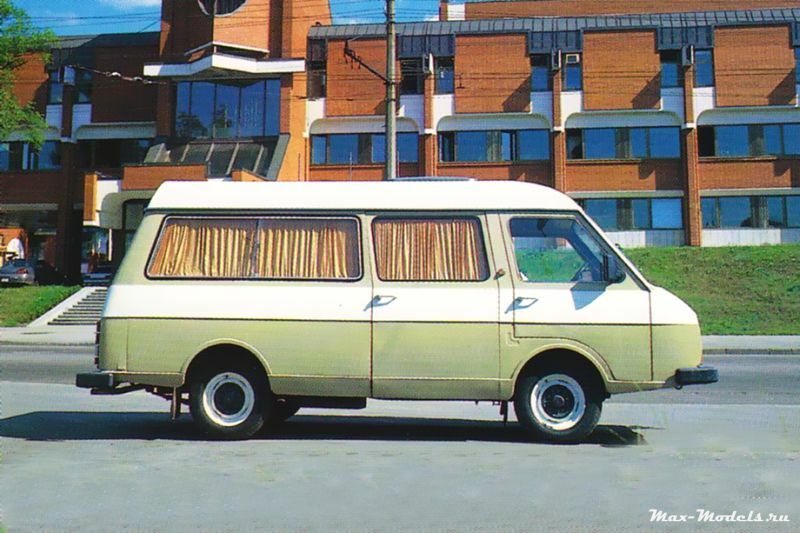 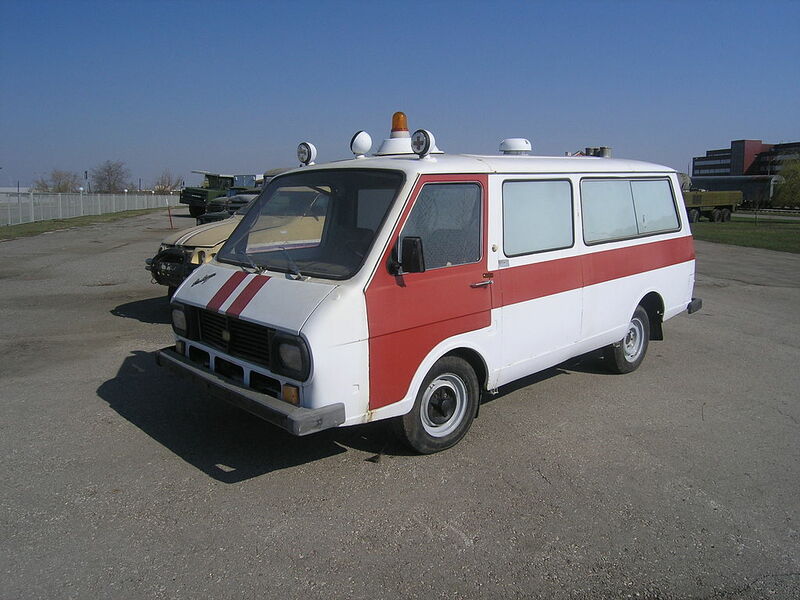 RAF management, in a rare move for a Soviet company, created two competing teams to individually design a new van. 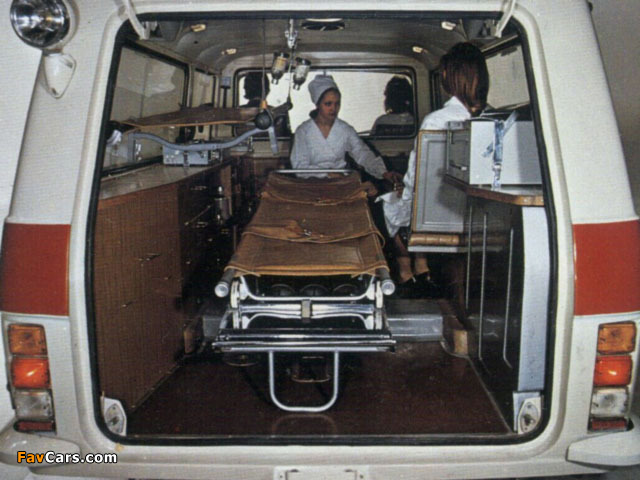 The conventional 962-I was selected, which seemed less likely to provide the money for an all-new facility. 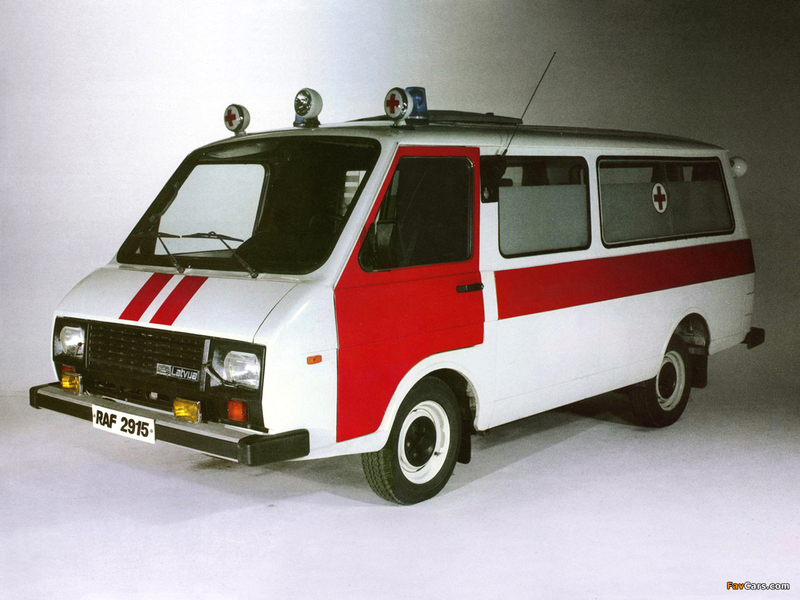 So RAF tried to persuad the selection committee to adopt the more radical 962-II, and did. 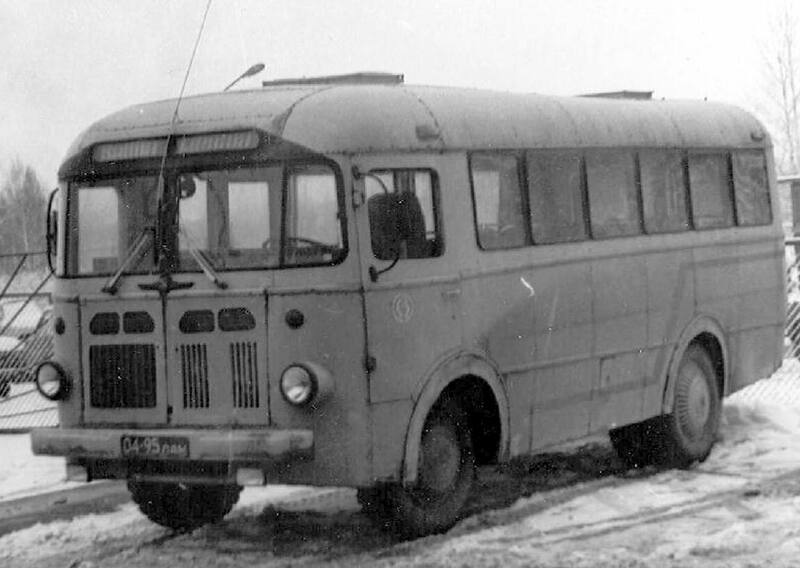 A one-tonne variant was based on a modernized 977D chassis. 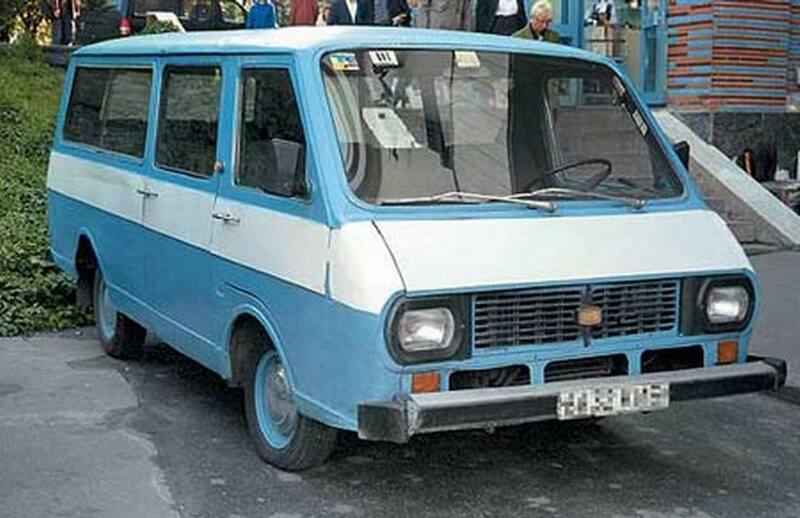 However, the factory size was not large enough to put this model into mass production, and therefore it was moved to ErAZ (Yerevan, Armenia). 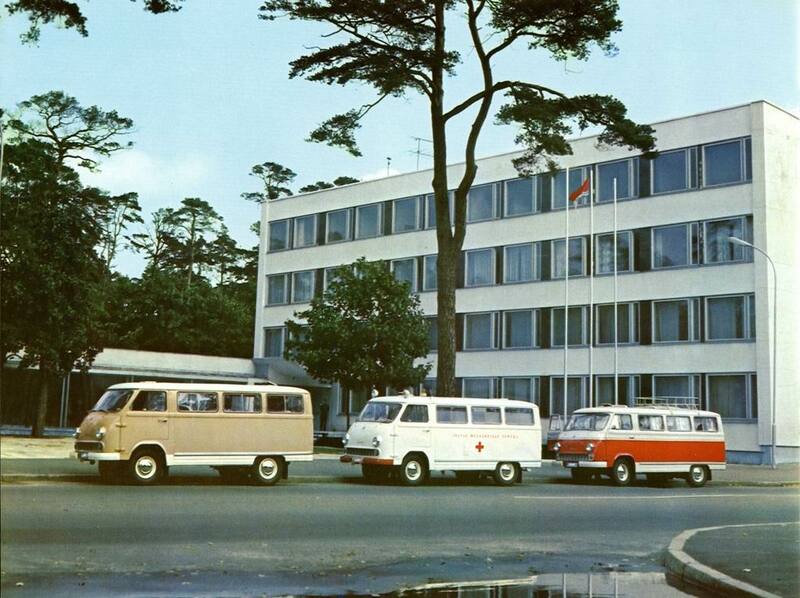 Construction of a new factory in Jelgava (to build the new 962-II, now known as the RAF-2203 Latvia) was begun 25 July 1969, and finished in February 1976. 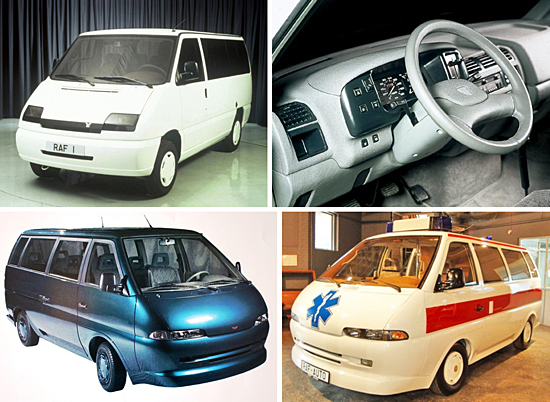 It was designed to produce 17,000 vehicles per year. 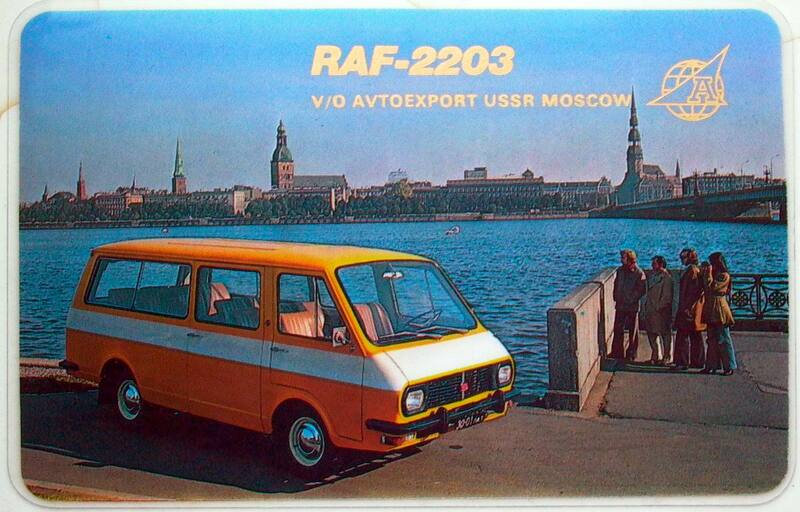 The factory produced several versions of the RAF-2203. 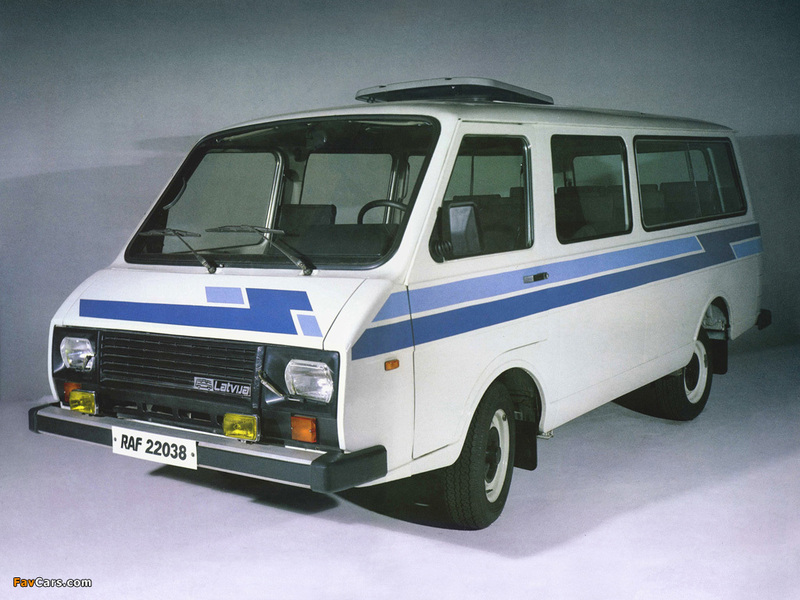 By the beginning of the 1990s, the RAF-2203 was completely outdated and the factory set about designing a new model. 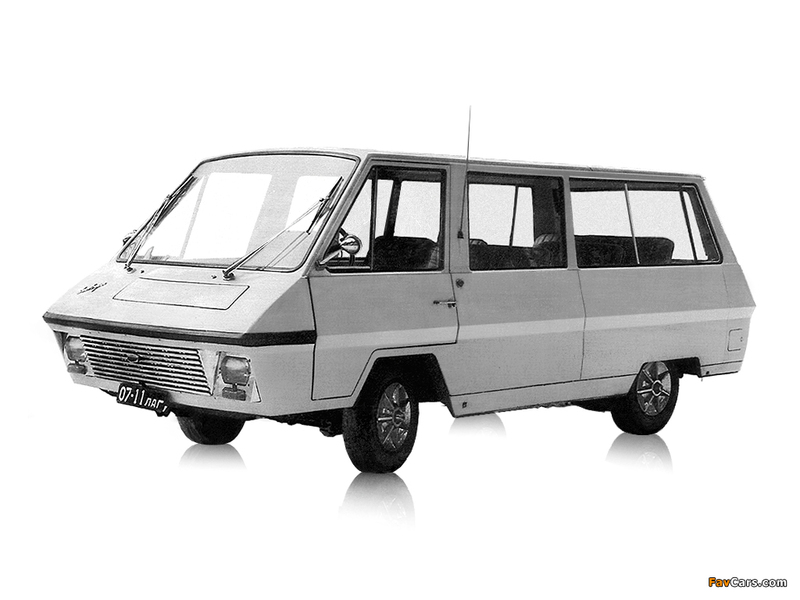 The original plan was to build a new RAF vehicle to be called the “Roksana”, designed with help from the British consultancy International Automotive Developments. 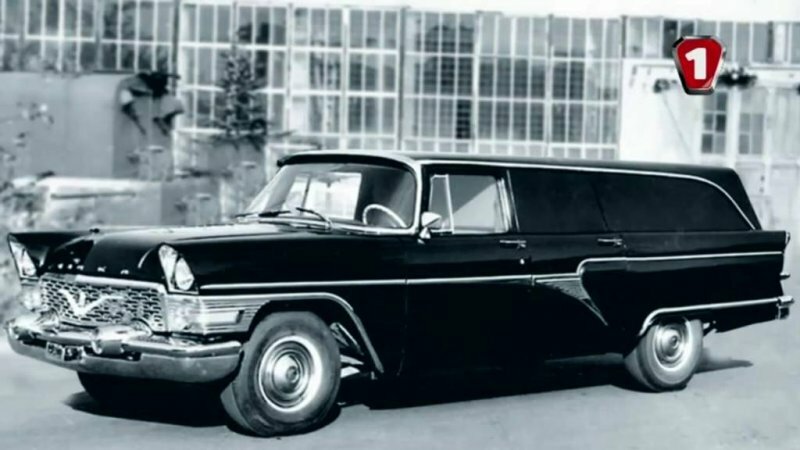 The model was successfully displayed at several auto salons, but never got further than a prototype. 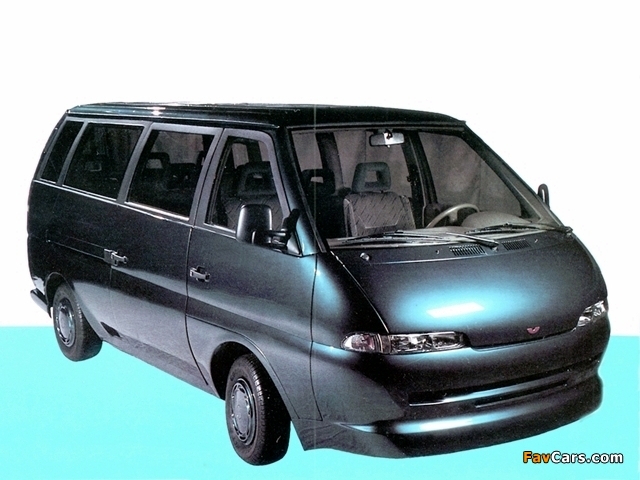 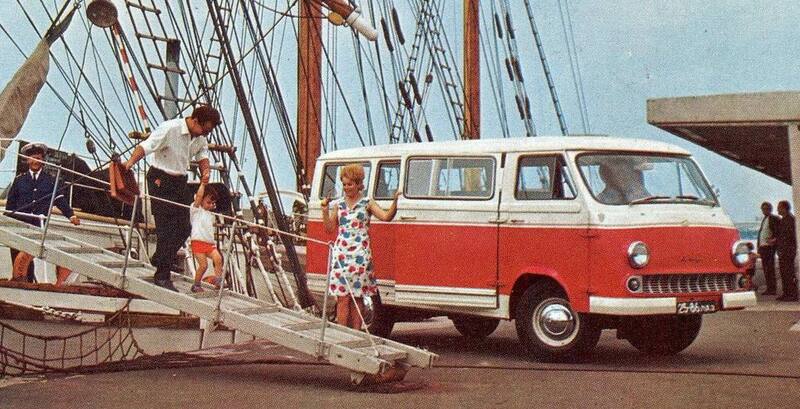 The same thing happened to the front-wheel drive “Style” microbus. 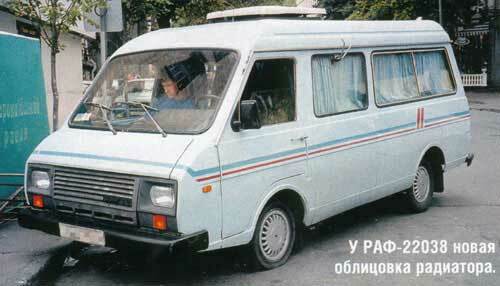 After the collapse of the USSR, the new borders broke the supply chains and production fell drastically. 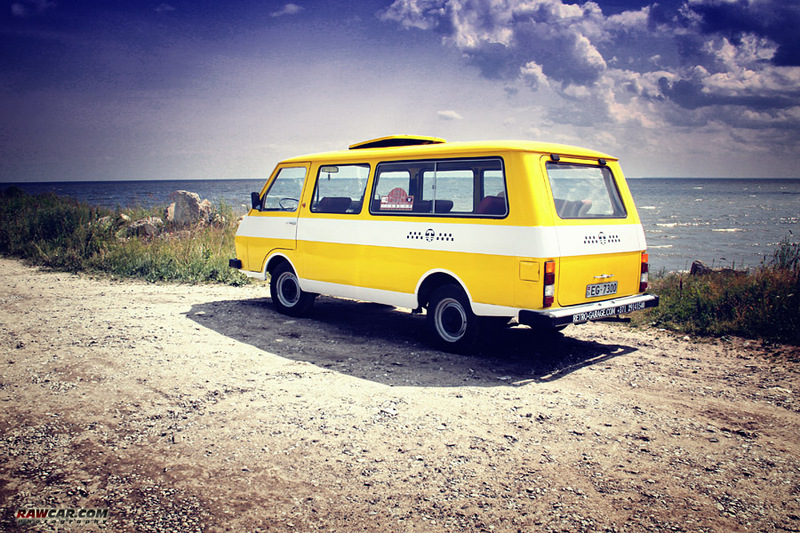 An investment proposal came from the Russian GAZ company but it was rejected by the Latvian government which considered Russian capital a threat to Latvian independence. 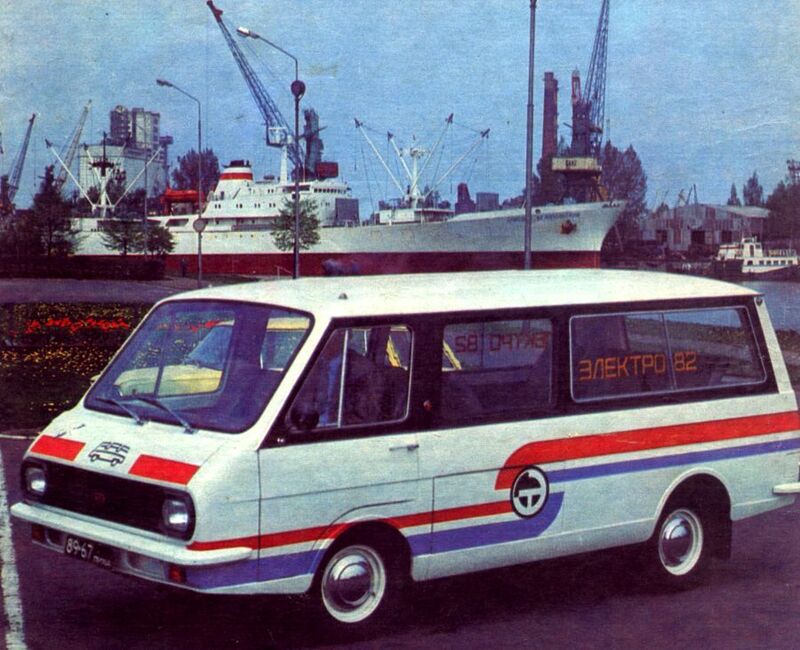 Although some Western and East Asian investors also showed their interest in RAF, all of them considered this investment too risky as the local market was too small to support large production and the Russian market was virtually closed due to the complicated political relationship of Russia and Latvia. 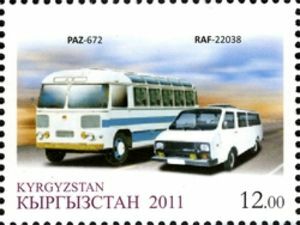 In 1997, the last batch of 13-seat RAF-22039s was released. 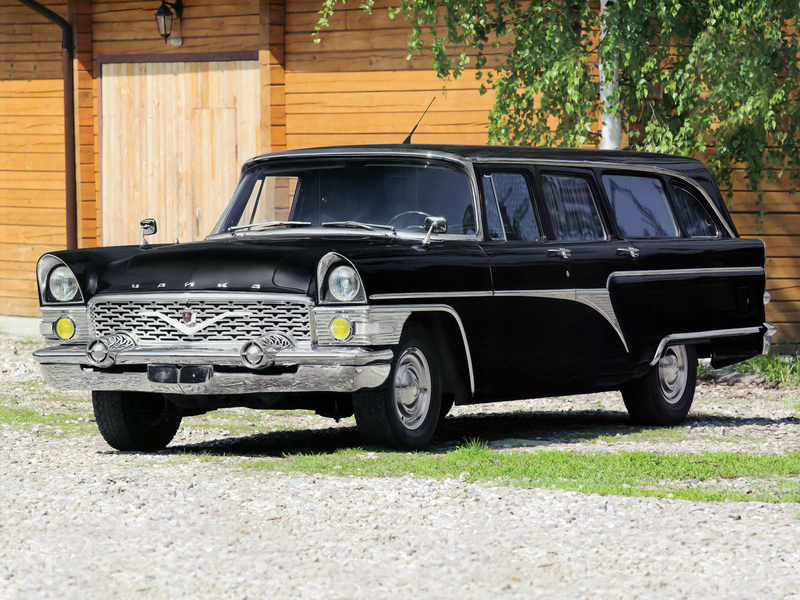 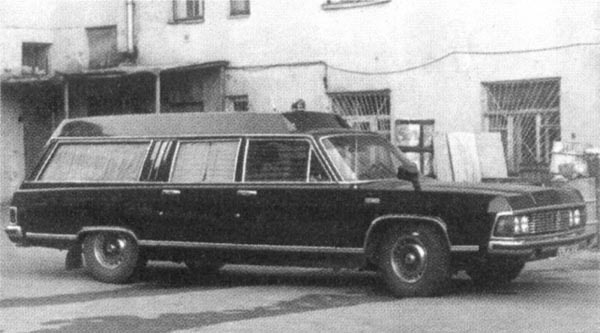 Ironically, the last automobile produced by the dying giant was a RAF-3311 hearse. 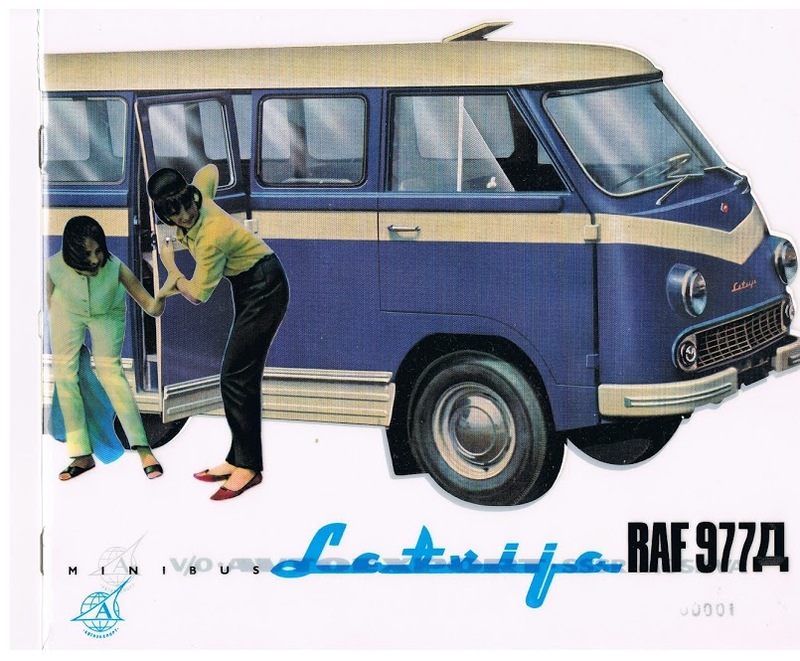 In 1998, RAF went bankrupt. 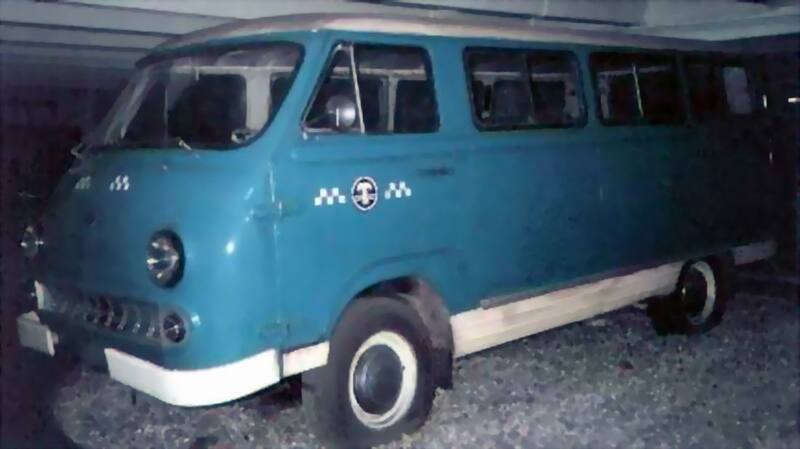 The only part of the company that survived was RAF-Avia, a charter airline set up using the four airplanes owned by the plant. 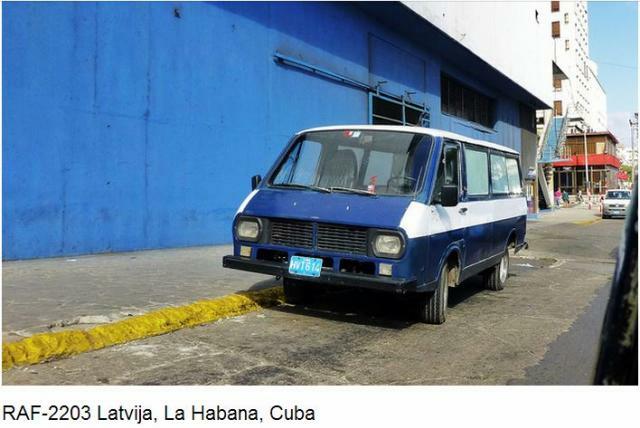 The 120,000 m2 (1,300,000 sq ft) manufacturing site, complete with machinery, is owned by JSC Balitva. 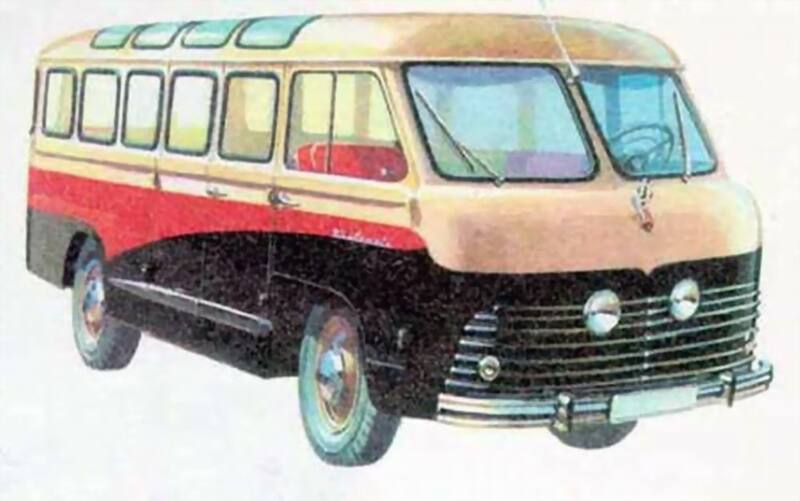 They considered selling it to a western auto maker, but this proved unrealistic. 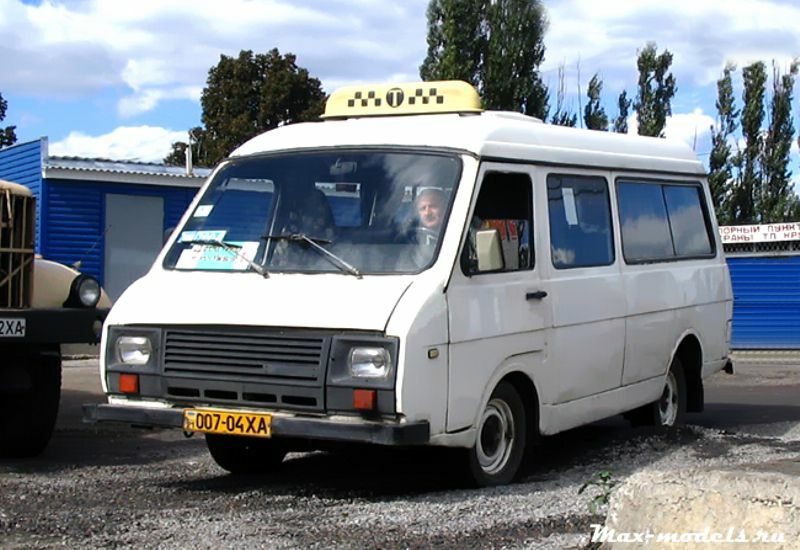 As of 2002, the assembly shop was still in order and all the design documents existed, so production could be started again if there should be a need. 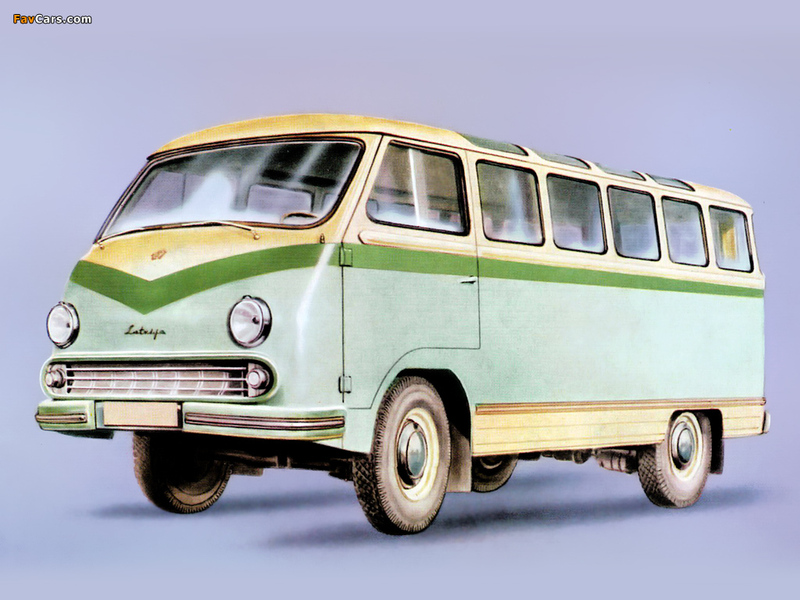 ErAZ expressed interest, but probably only for the designs. 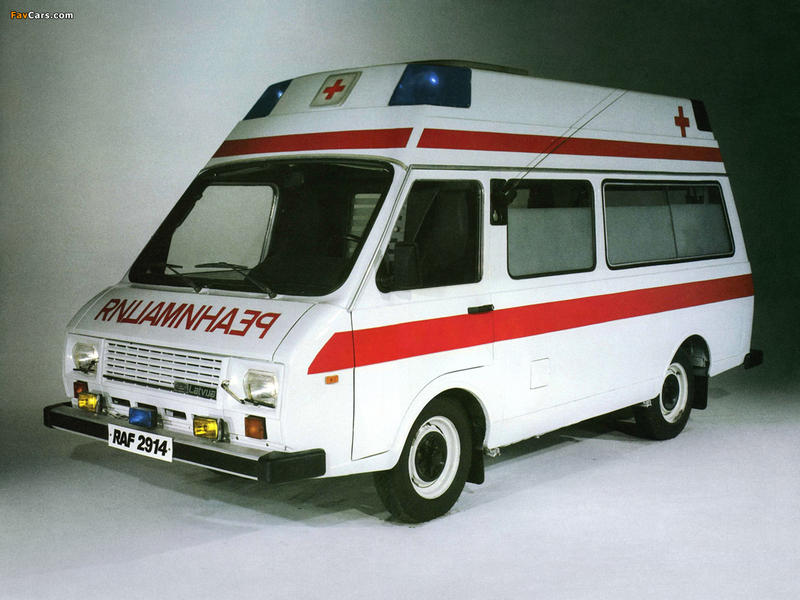 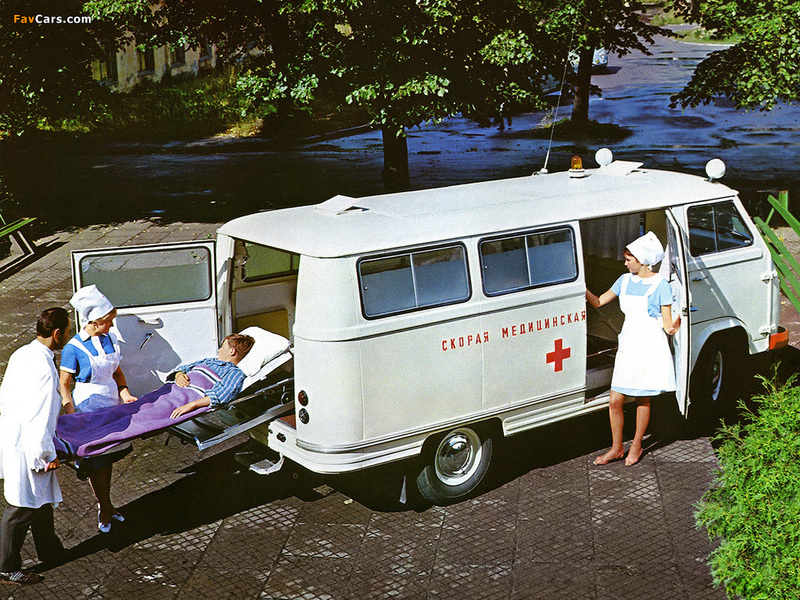 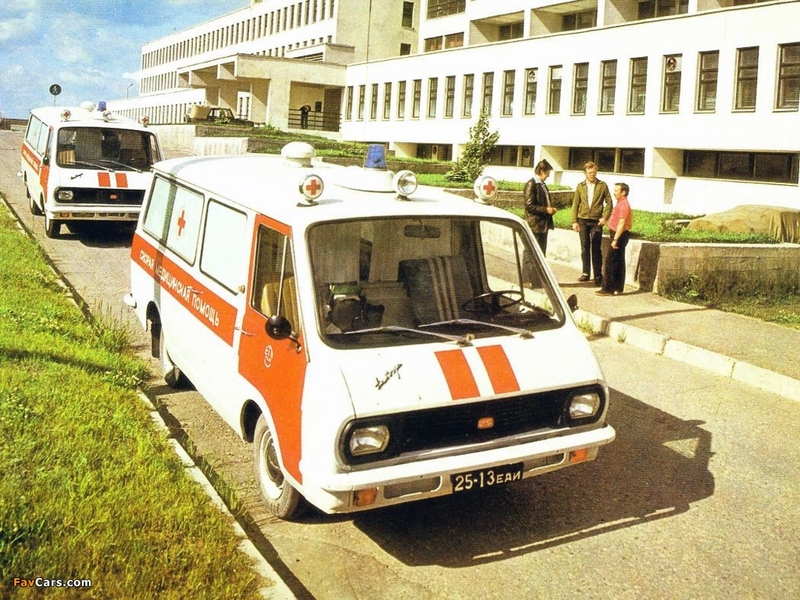 RAF-977 Latvija – GAZ-21 based 10-passenger van/bus/ambulance/taxi (1959–1976). 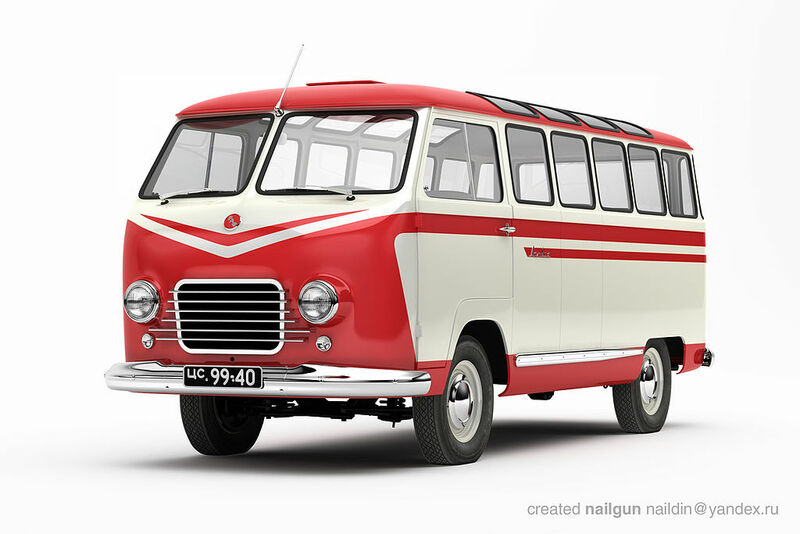 Also made in D, DM and IM models.